Fascia - So what is fascia? "I believe that the body remembers everything that ever happened to it." 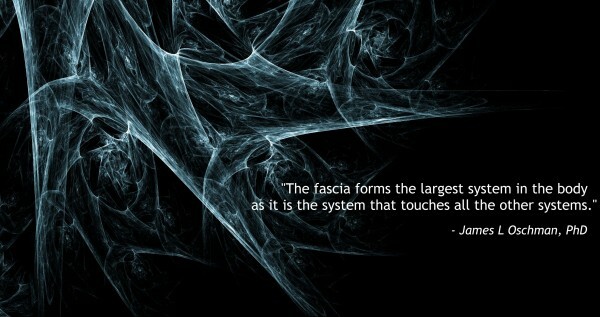 Fascia, also commonly known as “connective tissue,” permeates the entire body. It surrounds muscles and muscles groups, blood and lymphatic vessels and your organs. It is comprised of three basic components: Elastin, Collagen, and Ground Substance. Collagen is another fibrous substance and allows the fascia to be supportive, strong, and structural. Ground substance is blended in with, and in between, these fibrous elements. It is the gel, or goo, so to speak, that gives the fascia its great fluidity when it is in its normal state. In areas of the body where the fascia needs to be highly mobile, like beneath the skin, the shoulder joint, or in the abdomen there is a higher concentration of elastin. In areas of the body where fascia needs to be more sturdy and supportive, like the skull or surrounding the pelvis, there is a higher concentration of collagen. You can think of fascia like it is the plastic wrap that holds the contents of a sandwich together. For more details visit the John Barnes Myofascial Release website. I think you will enjoy the following YouTube videos concerning fascia. I found them very interesting.